Home / Columnists/ Sri Lanka worth $ 74 billion but impact of CBSL Bond scandal? 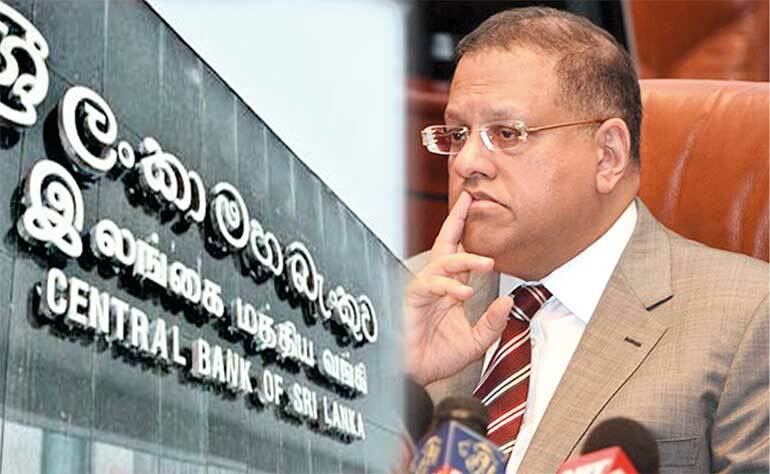 Sri Lanka worth $ 74 billion but impact of CBSL Bond scandal? In the recent Brand Finance release on the value of a nation, Sri Lanka registered a 74 billion dollar value at a commanding growth of 9% as at the 2016 report. However, the good news got wiped away last week when the cutting-edge COPE report on the bond scandal was released. The decision sure shook the country and we will have to see how this issue affect the brand ratings of 2017. Why hurt brand Sri Lanka when we are poised to become a 100 billion dollar brand? 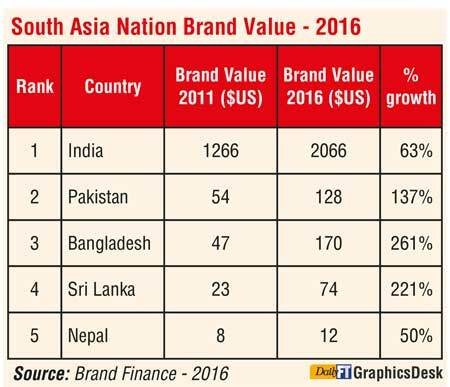 The logic is that Brand Finance, the originators of the valuation, has been mentioning to Sri Lanka that for the last six years (post 2009), the drag on the nation brand building initiative was on the pivot of ‘Governance’. As at now India is at a commanding $ 2,026 billion, Bangladesh at $170 billion and Pakistan with blistering correction last year with the IMF reforms touching 128 billion dollars, leaving Sri Lanka trailing in the South Asian region at 74 billion dollars. Brand Finance in its reports has mentioned that a slight correction on this front in the last five years would catapult the overall value of brand Sri Lanka that will result in better quality investment being attracted, higher value tourists coming into the country and Sri Lanka exports picking up better value globally. However, we see the post 8 January current Government taking note of this issue and strong links with the UN, EU and other key governments has been made but the good work was wiped away last week with the CBSL bond scandal that hit global media last Friday. This was very sad for many us that is interested in building this country which was expressed by many in the weekend media. In the backdrop of the ‘Bond fiasco’ last week also saw media reports that Rs. 800 million would be invested on the promotional drive of tourism that will have a positive impact on the nation brand building drive which further created chaos globally given that these two disciplines though interrelated are totally two different disciplines. 1. Exports: Examines respondent’s image of products and services from each country and the extent to which consumers proactively seek or avoid products from each country-of-origin. 2. Governance: Considers public opinion regarding the level of national government competency and fairness and describes individuals’ beliefs about each country’s government, as well as its perceived commitment to global issues such as democracy, justice, poverty and the environment. 3. Culture: Reveals global perceptions of each nation’s heritage and appreciation for its contemporary culture, including film, music, art, sport and literature. 4. People: Explores the population’s reputation for competence, education, openness and friendliness and other qualities, as well as perceived levels of potential hostility and discrimination. 5. Tourism: Captures the level of interest in visiting a country and the draw of natural and man-made tourist attractions. 6. Immigration and Investment: Looks to attract people to live, work or study in each country and reveals how people perceive a country’s economic and social situation. But, as cautioned by Simon Anholt, the expert of brand building, the key to a strong nation brand is that it is not a strategy that can be implemented but it is a credible statement that evolves from the people inside the country and it hinges on the above six areas. Research reveals that if one is to develop a strong nation brand globally, the foundation is to have a strong partnership between the policymakers in the ministry and the private sector so that the private sector takes the message to the world on the positive aspects of working in Sri Lanka. Especially in a country like Sri Lanka, where 75% of the economy is accounted for by the private sector, if the private sector keeps generating messages which are not in line with the overall DNA of the nation brand it only colours the identity of a brand. Which is exactly what happens with the multitude of protest campaigns unleashed daily by different quartets of society and last week’s Bond issue linking the former Central Bank Governor that has gone viral across the world. If we had a good PR company, some damage control could have been done, but the absence aggravated the issue at hand. A point to note is that Sri Lanka is struggling at a $74 billion identity whilst our regional counter parts like Bangladesh, India and Pakistan is forging ahead at $ 2,026, 170 and 128 billion dollars respectively. "Sri Lanka is struggling at $ 74 billion identity, while regional counterparts like India, Bangladesh and Pakistan are forging ahead at $ 2,026, 170 and 128 billion dollars respectively in 2016"
What is sad is that there is so much good going for Sri Lanka. SL has mended the global image from US to UK to Modi and Japanese premier. The Chinese have committed to taking over the debt and running of Mattala and Hambantota which is a big win. Shangri La, ICT, Movenpick in the tourism sector, Sri Lanka being ranked a top three destination in the BPO industry, Ceylon Tea receiving the first Ozone Friendly certification from the Kyoto protocol whilst the apparel industry positioning itself as the ‘Preferred Destination for Ethical Sourcing,’ credibility are pivots that cane take Sri Lanka to crossing the $ 100 b mark. The linking of personality brands like US Secretary of State John Kerry to Investment magnate George Soros to McKenzie and my favourite professor from Harvard Ricardo Hausmann will sure add to brand Sri Lanka. But the bond scandal sure dented the country brand which we will have to see the impact in the year to come. In this backdrop of chaos, we see a statement coming on the Rs. 800 million planned spend linking tourism to nation brand building. A point that policymakers must get clarity on is that there is no conclusive research to prove how nation brand building helps a country but there are millions of examples where good destination marketing campaigns have help attract top quality tourists into a country. Incredible India, Maldives’ Sunny side of life campaign, Philippines – Fun Island positioning just to name a few recent global best practices. The cry from the Sri Lankan tourism industry for the last two years have been a ‘simple communication campaign’ from Sri Lanka and not hybrid models such as nation branding which sadly the Yahapalanaya Government has failed to bring to the market. Whilst the year comes to a close and another budget dawns on Sri Lanka, the essence for Sri Lanka to my mind is that nation brand building is not a strategy that can be implemented but it is a credible statement that evolves from the people inside the country. Let’s ask ourselves, what do we personally tell the world about Sri Lanka today?